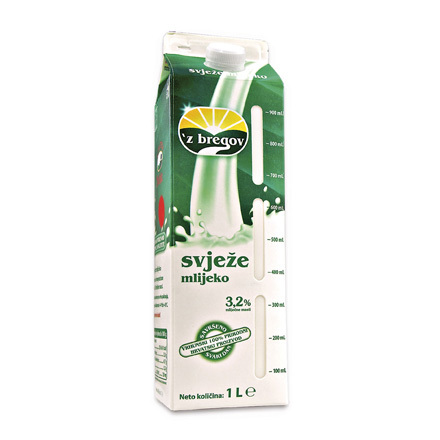 'z bregov fresh milk is truly unique. This completely natural Croatian product is rich in calcium and vitamins A, D and E which help build and strengthen bone structure, protect teeth and provide nutrients for the muscles. 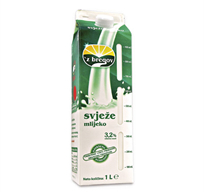 'z bregov fresh milk is available in PET bottles as well as carton packaging with 3.2% or 1.5% milk fat. 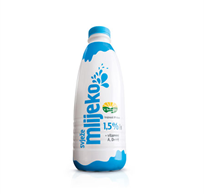 Available in 1L packaging and equally, the largest packaging on the market – 1.75L family-size bottle. The first PET bottled milk on the Croatian market containing all the essential nutrients your body needs. Rich in calcium, proteins and vitamins and available in whole and skimmed varieties, our milk, which comes from picturesque Croatian fields, will revitalise you, getting you ready for yet another healthy day ahead. 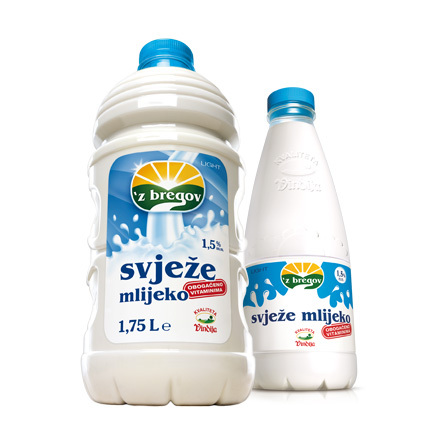 'z bregov fresh milk, with a 21-day shelf life, is the result of new modern technology that takes carefully selected high-quality fresh milk, heated to a high temperature for a shorter period of time, and then bottles the cooled milk in 1L PET bottles within an aseptic environment. 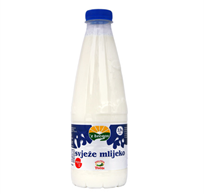 ESL milk stands for 'Extended Shelf Life' milk that needs to be kept in chilled storage at temperatures from +4°C to +8°C. 3.2% and 1.5% fat fresh milk packaged in the multilayered Tetra Rex packaging preserves all the nutritional values of our product. 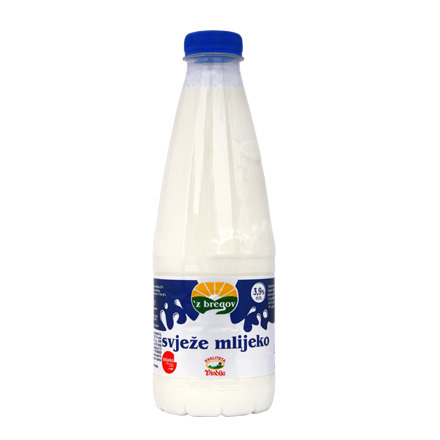 It has a practical easy-to-open screw-on cap, and thanks to the transparent section on the packaging, you always know when it is time to go shopping. Additionally, the name of the product on the packaging is also written in Braille code.